"Choreographed and directed by William Soleau with a book by the Veloz's son, Guy Veloz, the work was originally conceived as a screenplay and here is given a heartfelt and visually appealing production for the stage by one of America's vibrant, chamber ballet companies." "Those attending the show were treated to a whirlwind of Technicolor artwork and lighting, nostalgia for dance and music of the twentieth century, and dancing that defied the conventional notions of ballet." "The only sad thing is that 'An American Tango' The Story of Veloz and Yolanda had only two performances, so that those of you that didn't get to see this delicious program missed out on a very special dance experience. If this is performed again in Santa Barbara, it's worth the drive." " 'An American Tango' passionate, beautiful and so very good. I hope the show moves to Broadway, where it belongs." "The State Street Ballet has a bona fide hit on its hands with the world premiere of An American Tango at the Lobero. The hugely entertaining tour de force has the 19-year-old company soaring to new theatrical heights with one of its most innovative productions ever." "The great coup of this production was the dancing itself. From the Castle Walk to the Charleston to the tango of the show’s title, Soleau had these classically trained ballet dancers moving like they grew up dancing in the supper clubs of the 1930s and ’40s." 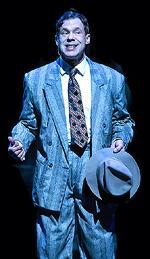 "I won't be one bit surprised to see this production of "An American Tango" go to Broadway." "Mr Soleau's seamless choreographic road map for An American Tango, gave the piece an irresistible flow and propulsion." This is a true rags-to-riches story about Frank and Yolanda Veloz who many people feel were the greatest Ballroom Dance couple whoever lived. It is a love story, lost in history which begins in New York's Hell's Kitchen with its speakeasies, mobsters and dance halls, and moves on to Broadway with its cast of colorful characters including Dutch Schultz, Walter Winchell, the Shubert Brothers and Florenz Ziegfeld. The Jazz Age becomes the backdrop for this magical tale of their journey from the clubs and hotels in Havana, Miami, to Beverly Hills and onto Hollywood movies and the cover of Life Magazine in 1939. This journey about the intense passion between them evokes shades of West Side Story, with its Romeo and Juliet-esque true and yet bittersweet tale of love and loss. It was a time of change, it was a time of music and dance, it was the time of Veloz and Yolanda. 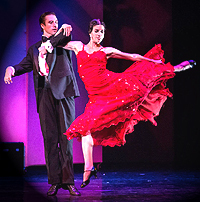 This entertaining and multifaceted ballet "An American Tango" is a dramatic portrayal of this true story that's been lost to history, set to lyrical dances encompassing the rich texture of the Veloz & Yolanda legacy. 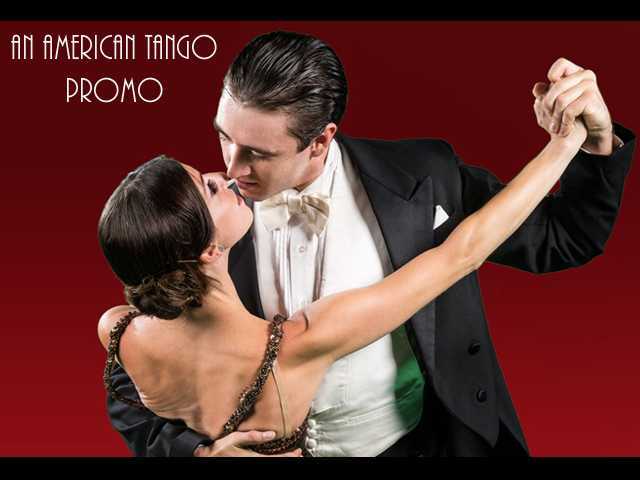 Combined with multimedia projections and movies, period staging and a wide spectrum of music of the times and wondrous costume design, "An American Tango" will make for a breathtaking live performance experience. This original dramatic dance multimedia production is narrated by a stage actor who takes the audience on a historical rollercoaster ride from the mean streets of New York's Hells Kitchen to the movie sets of Hollywood. "Now, what you're about to see is all true, so help me God, your honor, and just needs a little storytellin' is all. The name's "Augusto Genuardi Tuccio" - "Auggie", you got that? (to some guy in the Audience). "Aug-gie", sir, capiche? I don't know, you're lookin' confused and we ain't even started! Oh, I know what you're thinkin'. "Hey, Margie, look! There's a guy up there yappin'! Don't he know there's no talkin' in ballet?!" (back to the Audience) Anyway, where's was I? Oh yeah, "history", as in "I bets you didn't know" the fact that swank joy caves and uptown roof gardens once slugged it out with dance teams, BIG dance teams I mean…." The stage opens on with multiple Dance Teams/Music from the 1920's. A full-stage spectacle, a celebration of the times with the advent - the sheer burgeoning popularity - of Ballroom and Tango. And so, the true story of "Veloz and Yolanda" begins.... the biggest, the most elegant, the most magical dance couple of their time. For while their mighty competition focused on technique, "Veloz and Yolanda" trafficked in dreams. Learn more about Veloz and Yolanda - A TV documentary "Legends of Ballroom and Tango"